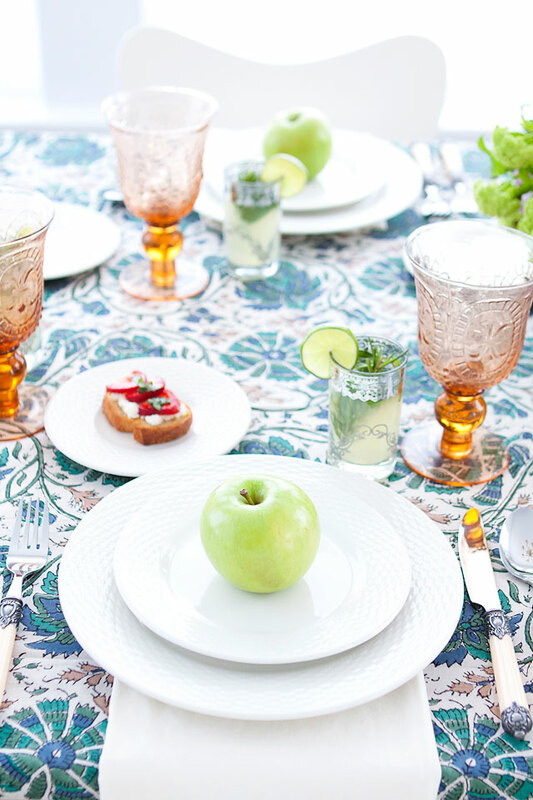 While working with Wayfair on their Emagazine last month on the Ultimate Guide to Hosting a Dinner Party, I came up with this flavorful appetizer. 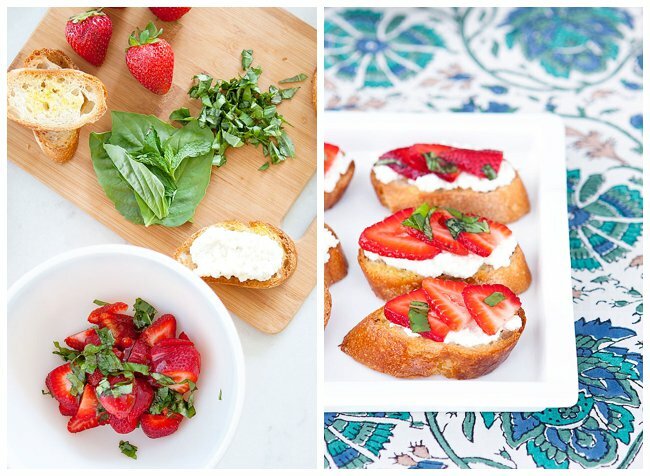 A Strawberry and Honey Ricotta Crostini! 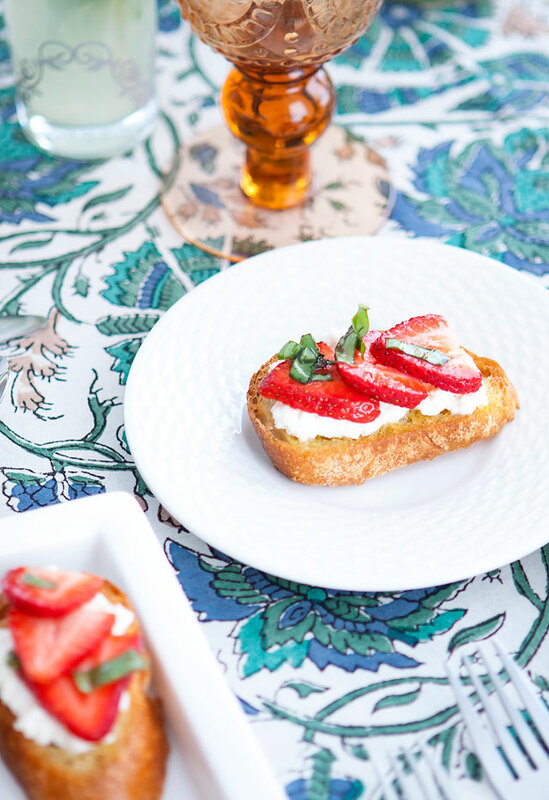 I loved the idea of using strawberries on a crostini, and paired with some balsamic, basil along with honey and ricotta cheese, it is an explosion of flavors! My favorite part is that they looks super fancy, but they are so easy to make! Be sure to head over to Wayfair.com for the full recipe and tips! P.S. 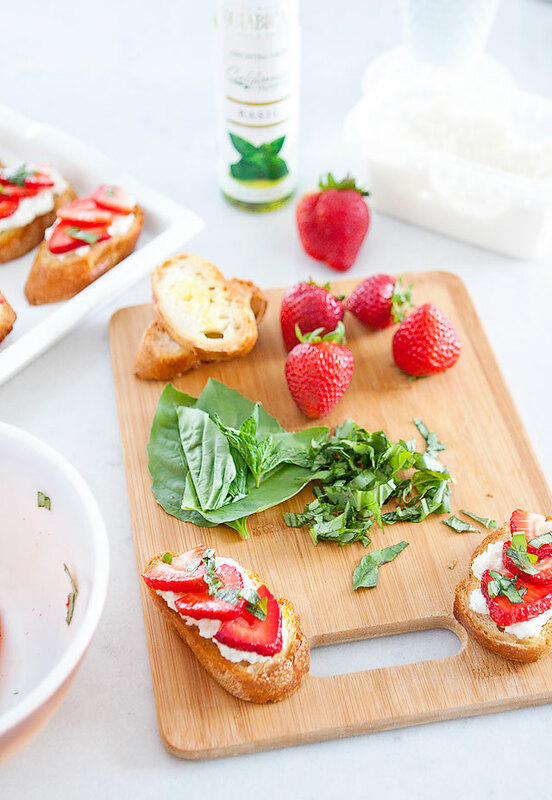 This would also make a festive appetizer to share on the Fourth of July! for another one and half minutes. Remove from oven. In a small bowl, add ricotta, 4 teaspoons honey, 2 teaspoons olive oil, and fresh ground pepper to taste. Spread a thin layer onto the toasted crostini bread. so juices begin to seep from strawberries. Spoon strawberries on top of ricotta mixture on toast and serve immediately.